Showcase your game online with a professional highlight video and put your player info and best plays at the fingertips of every college coach in our Recruit Finder. Every game is filmed from elevation. Includes all your games and any all-star games. Select clips from this event's film, film you have from other events and any Youtube & Vimeo links. Your video purchase includes all your team's games. 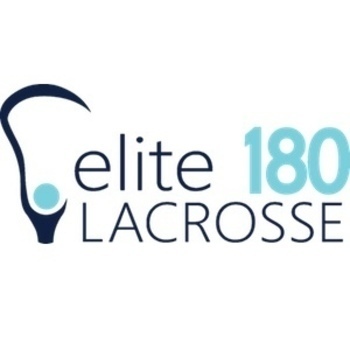 We film and edit our videos in a style requested by the college coaches that use ConnectLAX. We may also promote your highlight video on social media . "Your company has the best quality out there. Thank you. You get us the film quickly and it's always high quality and professional. I really appreciate it." Download editable .mp4 files and build a professional highlight video. Highlight video credits expire 12 months after purchase. Do I select my team during sign up? No. You select your team when accessing the game film after the event when it is live. How do I know when the game film is ready? We will notify you by email after the event when it is live. Then log in to access it in your video library tab. How long until the game film is live? Most game film is live 2-5 days after the event depending on the size of the event. You will be notified at the email address you registered with when purchasing it once it’s live. If you haven’t been notified that it’s live after 7 days from the event, refer to this page for the current status and check your junk mail folder. If it’s still not live, email us including the name of the event. Is there an option for game film only? If it is visible on this page as a 3rd option below the 10-Play and 20-Play Highlight and Film "Video Packages", then yes, otherwise no it is not available. Please be aware our prices increase after the event. Can I purchase just one game instead of all of them? No. We do not sell individual games, only a package of all your games from the event. If there is an all-star game or tournament play-offs, is that included? Yes. All-star games are always filmed and included in the video package. Play-off games are included unless stated otherwise. What if I played on two different teams? Each video package includes game film for one team, so email us to explain your situation and we’ll try to find a solution that works. What format do you film in? Games are filmed at 1080p HD. Downloads are available in .mp4 format. Some events are filmed at 60fps. How do I confirm you received my video package order? If you receive an email from us confirming your order titled 'Video package confirmation', then yes we received it. Check your junk mail folder if you do not see it. If there is a showcase and team tournament at the same event, is there a combo price? No. You will need to purchase two video packages, one for each event. Do you know if my team purchased game film to this event? No. Please coordinate with your team before purchasing your own video package. Refer to our video refund policies as well. We appreciate your business and know the importance of video in recruiting. We believe our video package prices are fair and often below our competitors, many of whom have no refund policy. Our packages are designed to help players get their video in front of college coaches in a format they want, which is a professional highlight video coupled with a recruiting profile with relevant information.